Some sewing projects - Kellbot! | Kellbot! I’ve done a little bit of sewing lately, nothing too crazy but a few new projects. 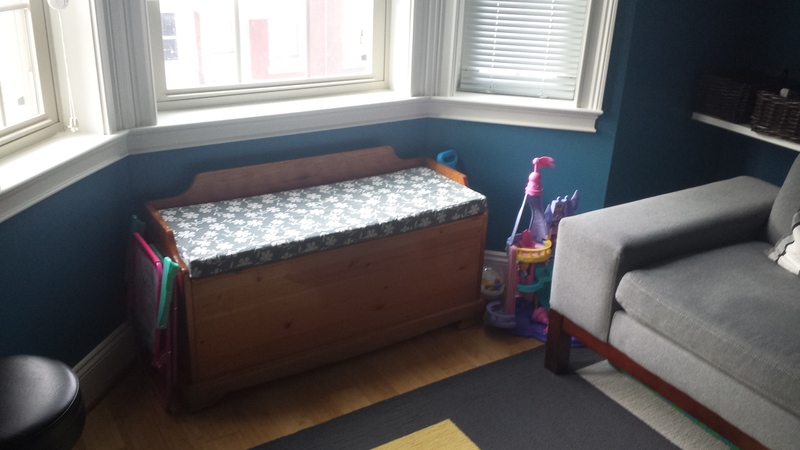 We got a wagon seat from my parents, it was my mom’s in college, and are using it for a toy box. It’s so nice to have all the toddler toys away. The cushion for it was a little sad so I made a new one using foam and fabric from Joann’s. The foam is pretty pricey normally but I was able to use a 40% off coupon. I even sewed a zipper in the back! There are still a few items that don’t fit in it, but it’s a great improvement over the pile of toys we had before. 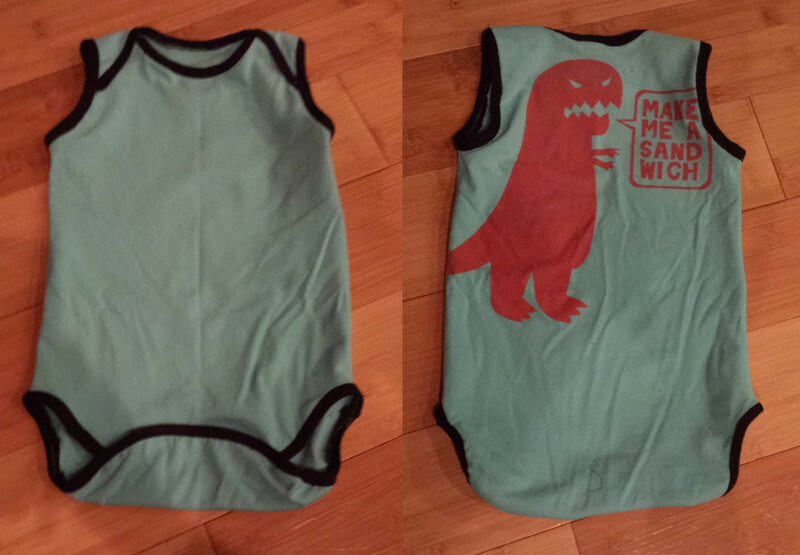 Next I made a baby onesie out of one of my old T-shirts. The pattern claims it’s a 6 month size, but I think I printed it wrong because it looks like it would fit my two year old. The design is on the back and I used some scrap black knit fabric for the binding. I’m borrowing a friend’s serger and still getting the hang of using it. I ordered a bunch of spandex to make running/circus tights, but now that it’s getting hot my desire to sew long pants is waning. Also my desire to serge compound curves in stretch material is approximately zero regardless of the weather. The onesie pattern came from here and for the cushion I used the zipper tutorial here.